HomeMental HealthWhat’s Your State’s Biggest Phobia? What is the biggest phobia that you face? Phobias are one of the most common types of mental disorders. According to the National Institute of Mental Health, around 12.5% of U.S. adults experience symptoms of one or more specific phobias during their lifetime. The American Psychiatric Association reports that phobias are the most common psychiatric condition among women and the second most common among men. There are many different types of specific phobias that people commonly experience. A specific phobia involves a fear of a particular object or situation, such as a fear of spiders, snakes, or enclosed spaces. 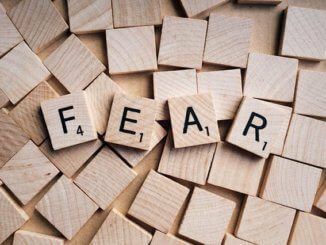 While there has been some research in which phobias tend to be more common, there is not a ton of data on which things people tend to fear most. Recently, the team at Your Local Security crunched some numbers using an intriguing data source – search trends. They have looks at search numbers in America to uncover not only the top five searched fears nationwide, but also the most searched phobias in each state. So which phobias were the most commonly searched in the U.S.? Folks from Arizona are most likely to search for information on Brontophobia, the Fear of Thunder and Lightning. People from Florida tended to look for info about Claustrophobia, the Fear of Small Spaces. Hawaiians expressed concern about Ailurophobia, the Fear of Cats. Kentucky residents were preoccupied with Gamophobia, Fear of Commitment. Be sure to check out their full list to discover the most commonly searched phobia in your state.